We appreciate you taking the time today to visit our website. Our goal is to give you an interactive tour of our new and pre-owned inventory, as well as allow you to conveniently get a quote, schedule a service appointment, or apply for financing. 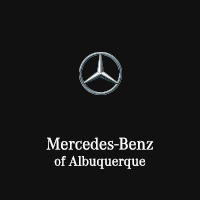 At Mercedes-Benz of Albuquerque, we know how stressful buying a new car can be. It takes time to research your dream car, figure out what to do with your old car, and finally pull the trigger on your favorite Mercedes-Benz. That’s why we put all our efforts into streamlining the process. As soon as you enter our showroom, our friendly and courteous staff is there to greet you. From there, we let you do the talking. Once we’ve found out just what you’re looking for, we’ll take the necessary steps to make sure it happens. There’s no upselling or high-pressure sales tactics here. All we offer is the best customer service and the car you want at an affordable price. Many Mercedes-Benz drivers lose sleep deciding whether they want to buy or lease their vehicle. With us, you won’t have to do that. We’ll weigh the pros and cons of leasing and financing and help you make an educated decision on which is the perfect fit for your needs and lifestyle. Once you’ve picked one of these options, our finance team will hit the ground running, providing you with the perfect terms, interest rates, and payments to get you into the Mercedes-Benz you’ve had your eye on. No one loves the financing or leasing process, but we’re here to make sure it goes over smoothly so you can feel confident about your new car or SUV. Some dealers are just in the industry to earn a quick buck. At Mercedes-Benz of Albuquerque, we’re not so concerned with that. Our success hinges on our relationship with you and the community. That’s why we love to give something back. We proudly support many local organizations, including the Presbyterian Ear Institute, Rio Grande Down Syndrome Network, and several local schools. By lending a monetary hand to these charities and educational institutions, we better the community. It’s not just something we do; it’s our mantra.